I’ve had some memorable times playing Tom Clancy’s Ghost Recon Wildlands, tearing through the Bolivian mountains, dealing with some of the most feared drug barons in the world, shooting randomly out of helicopters, and driving stolen supercars into churches. And now you can too, because it’s free this weekend on Xbox One, as long as you’ve paid Microsoft your tithe for an Xbox Live Gold subscription. Oh, and Super Bomberman R’s free, too. 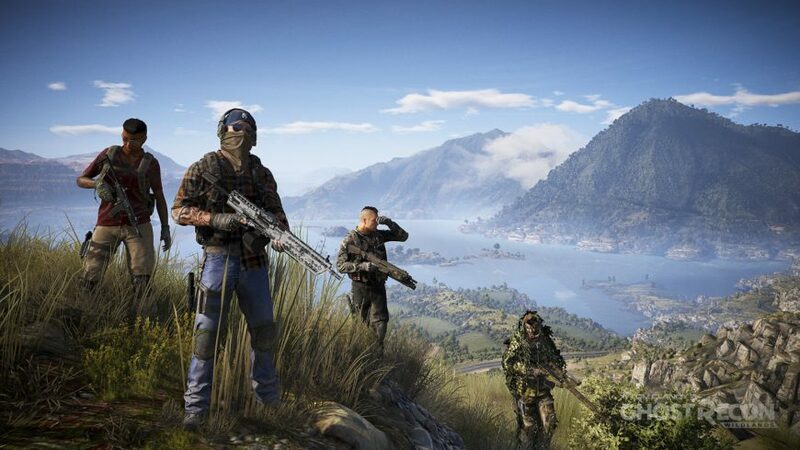 Ghost Recon Wildlands is one of those games which really benefits from the whole games as a service concept – it was good, stupid fun at launch, but it’s grown and developed so much since then that the tactical shooter has become a genuinely compelling way to spend your time and money. Ubisoft has also given a master class in Xbox One X enhancements here – if you’re rocking a big 4K TV with HDR, you’re in for a treat. Give it a go this weekend, and if you then decide to buy it, you get to keep the progress you’ve made. Super Bomberman R is also free to play this weekend, so if Ghost Recon doesn’t interest you and you’d rather blow up your friends in a cartoon maze, you might want to try this one instead. Ghost Recon Wildlands really is damn good, though, and keeps getting better, and it comes highly recommended from game industry media professionals. Well, me.